Inflammation is the body’s normal physiological attempt to defend itself against foreign invasions and repair it from injury. This blog shares what inflammation is and how to reduce chronic inflammation naturally! When describing what inflammation is to my patients, I always explain that there are 2 types; the acute and the chronic. Acute inflammation is important, especially if we experience an injury or infection—it’s what promotes healing. Heat, pain, redness and swelling, best describe the classic inflammatory response. Acute inflammation occurs as a short-term response to harmful stimuli such as a cut, sprain or burn. Ever notice that a wounded area swells up and becomes warm? That is the body’s way of protecting the area as it begins to heal. When inflammation persists over time it becomes chronic. Chronic inflammation is the body’s response to ongoing lifestyle stresses like: poor diet, lack of sleep, stress, and lack of exercise. 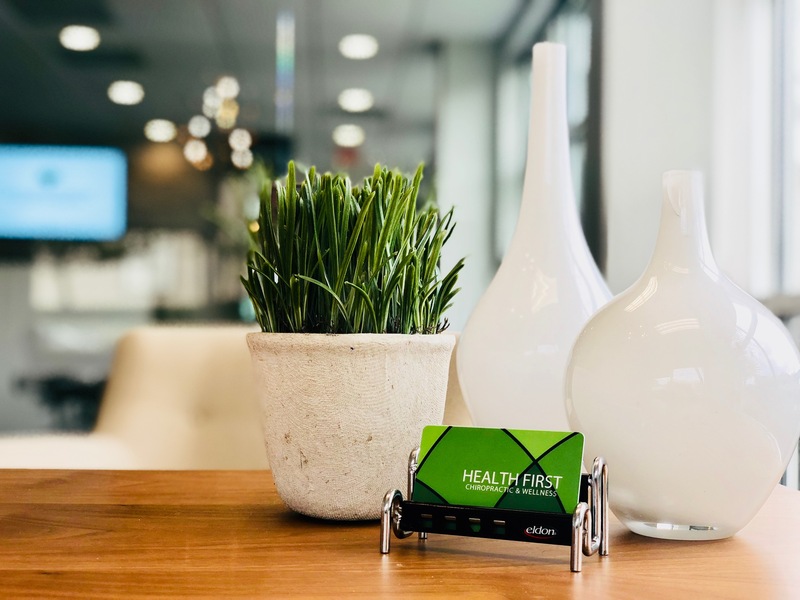 It occurs when the injury is ongoing or a predisposed immune system fails at counter-regulation, contributing to the onset of many chronic illnesses. Some contributing factors to chronic inflammation include high sugar intake, high intake of trans fats and processed foods, obesity, and dysfunction of the mitochondria (our cell energy center). 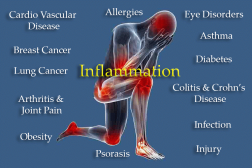 WHY IS CHRONIC INFLAMMATION DANGEROUS? Chronic inflammation can be dangerous. If your body is constantly inflamed, your health will be jeopardized. More and more research is linking chronic inflammation to the development of many illnesses such as cancer, heart disease, diabetes, kidney disease, Alzheimers, COPD, fibromyalgia, and depression, just to name a few! When dealing with chronic inflammation, one cannot simply focus on the downstream consequences of inflammation but rather on the upstream causes of inflammation by addressing the underlying stressors that initiate or perpetuate inflammation. HOW CAN YOU REDUCE CHRONIC INFLAMMATION NATURALLY? Proper diet, enough sleep, regular exercise, and good stress management can all reduce chronic inflammation. What’s another thing you can do? Why see a chiropractor, of course! Studies show that adjustments help reduce the production of two inflammatory cytokines, which can reduce inflammation throughout the body. Not only that, adjustments help reduce stress in the body by removing interference between the brain waves and the nervous system so your organs can function optimally. With that said, are you ready to book an adjustment? Click here.